Replied by n2gtarz on topic Anyone Thinking about making a New Game from this series ? ironduke is working on a new line for this game hope he is still at il lots oI mods and options.... still play eoc on pc with xp sp2.. runs great! IronDuke has been pretty busy lately... but he should have time to work on it over Christmas break and afterwards. Replied by d3rt13n on topic Anyone Thinking about making a New Game from this series ? The fact is that there is an existing engine that can give us just this and more - It has VR support as well and all the tools required to code and add in 3D models. That game (engine) is X-REBIRTH VR, there are a lot of mods out for this game, and even now still mods are being made for it and could easily be modified to accomodate I-WAR 2 gameplay. With a far easier code than POG and a way to import 3D meshes, we could turn this into a sandbox I-WAR 2 clone. Yes, I know, there have been a lot of people (mainly X-2, X-3 fans) who hated X-Rebirth mainly because the expectations they had were not met; because they compared the limited options of X-Rebirth in comparison to X2 and X3 - Mainy the ability to fly only one ship, The Skunk. I however disagree, X-Rebirth is a great game in its own right, it just should never have been called an X-game. It is also the only Game at this moment which is moddable, both in the 3D department as in the coding department and offers a sandbox mode that does not need a lot of rework. It has a funtional economy - and is since last year fully VR capable. That VR Capable option is a big yes for me if compared to Elite Dangerous. Let me sum it up here for you what X-Rebirth could offer us - what we have already, and its relation to I-WAR 2. The point here is that when you buy an engine - a 3D mesh could be added to the Com-Sec and shown in exterior mode, representing the COM-SEC mated with the relevant purchased module and each engine flavor would make it fly differently since it is easily modified with Notepad++ by changing numeric values. The one 'fly-one-ship-only' option is also not an issue since the COM-SEC is always the base of the existing setup. The game features Newtonian flight, but is not as well developed as I-WAR 2. However I am sure that this can be achieved if the correct values are put in place for the engines. LDS: BOOST is the X-Rebirth variant of LDS in I-War 2 - Boost draws energy from Shields, in X-R but that can be set to zero, as to not drain and can be made a lot faster - to accomodate in-cluster travel. Lagrange points: X-Rebirth Jump Gates - Removing the gate mesh and adding in a blue/red wireframe graphic would do the trick here. CLUSTERS and UNIVERSE - Renaming and repositoning of the clusters to accomodate the I-War universe can be done via Notepad++. In addition the player can build and own stations and capital ships that can be docked with and used as a taxi. Boarding operations, drone control (remote fighter - T-Fighter) and hacking is also implemented. The requirement here would be to make 3D models of the I-WAR ships that are on par with today's standards (3d studio Max) and textures; and someone with experience in modding X-Rebirth XML files and MD files. The issue is that not a lot of people are lining up to create a mod that maybe only 50 people will appreciate and play while multiplayer is non existent. X-Rebirth (thank god) does not need to be connected to the net to play. Also; I-War 2 is a very 'niche game' and space simulators are far and between. Now if there would be people who are lining up to have an I-WAR III, maybe some artists could be persuaded to create a half-conversion (total conversion is not required since existing stations models, the economy framework and even the existing capital ship meshes could be right at home in the I-WAR 3 universe) - maybe we could even start motivating modders by a donation ware setup. Personally I would pay 50 Euros to have something like this materialize. I know someone who could make the 3D mesh stuff happen - and also a few who are familiar with the X-Rebirth code. Thank you all for replying to this topic. I have seen so many instances here where I-War Fans are happy to use MODS to other games to get a I-War Feel. I am however seriously considering making a I-War Stytle Game, that I would hope fans would love (or any SciFi / SciFantasy Fans). I've seen some reference to Star Citizen (Yes I'm a backer in 2014) .. With my Frustration with Chris Roberts and his ever expanding game, I thought it was time that we had another competitor to CR StarC. I have talked to Several people that insisted on Elite Dangerous and I did buy it.. only to be so disappointed in Combat that I deleted it from my HD. There has been No Other Game has come up to the Performance of I-War. Honestly how many 1080Ti or above to PC users own ? We Want the Best Graphics available for our systems. My idea was to take the I-War Universe, basic lore, and make spin off to it, considering that there is no way to track down the copy-write holders at this stage and I would hate to be hit with a Copy-write lawsuit. Newton Physics are easily implemented into modern game engines, Large spaces and Highly detailed graphics aswell. Engine: I would be Using either LumberYard / CryEngine / Unreal Engine for this game. Jefferson Clay - If I get a voice actor for this, I'm not sure if I will break a copy-write law. I maybe forced to write in a similar character. Any Suggestions? VR - Do you really Want this in VR ? It will make you sick with everything moving in space, especially in battles - I will be applying real "enough" physics to all Assests, including YOU. HeadTracking with Voice Action of Commands - Yes - Sometimes Voice control "DONE WELL" is more "Immersive" and I'm impressed with Star Citizens Voice with Head tracking feature (using your web cam). Joystick / Hotas - Yes. As with Star Citizen, I would have All parts of the ship able to be walked in and interacted with. Also I want to add More then Star Citizen - You will have Mag-boots, Docking Ship to Ship, Walk outside your ship while in LDS. Dock or Capture other ships and Tow them back to a base. Not sure about how far I could do Base Building, however as in I-War tradition there will be Asteroid Bases that you either (build yourself via mining or taking over abandoned asteroid bases.. Let me Know. Space Stations need to be bigger then what they are in I-War 1/2 - BioBomber bases need to be a thing, and that would be considered a Small Ship yard. Multiplayer - OK I know the Excuse of "Make your Own Fun" and "Fun with Friends" is a big thing now, especially with the Horrible FallOut76 games these days. I do want to implement FPS Role into this Universe, (Think I-War intro movie) - Where you can walk around your Brige/Command Section and even back into the hull. This will mean "Boarding Parties" can be either NPC (following orders) or a Multiplayer aspect. Let me know what else you would like to see in this universe? How Open World do you want it to be? Do you want to be a Space Trucker, Or a Miner ? In this Universe, not all ships have command sections, would you like to see Command sections implemented in All Ships? Or would you prefer a docking system / Shuttle Bay. I Wasn't thinking of going the Military Route in game (unlike Star Citizen SQ42). Maybe Civilian with the option to branch into whatever route you like to go? Aliens - Yes or No ? (I'm undecided - any suggestions)? If you have screenshots or other game play aspects you would like to see, Please leave a comment below. While most of the game is within reach of me creating it, Voice Control and head tracking if definitely out of my league, unless I can find some software. Planets and Moons - Yes they will exist and you will be able to land on them (if your ship is designed for it) - Patcoms and alike would be able to enter atmosphere, Spider-Tugs, not so much. Game Play - You will be able to Disable Ships and NPC's / Characters more easily - however with enough effect, you can destroy them too. Player Character - Is a real Character in game - If you Character is wounded and passes out, you would spawn with injuries/artificial limbs (Think Smithy). Ejections Systems - Yes The command section can auto eject, so you live to fight another day, or emergency pods could be used to save you and your crew - Remember, not everyone is on the bridge, you will have characters in Turrets and other places. You can Capture Characters at that point, destroying pods with characters will give you a bad reputation (probably where everyone in the Universe will Hate you). Ejected Pods and Command sections would auto pilot out of the area, before you have time to destroy them. Characters would have beacons so that they can be rescued in the blackness of Space. Hello Dark, I really like the ideas you have mentioned. Many of them line up with my ideas for an I-War 3. I have a couple of comments/suggestions. First, Atari owns the copyrights to the game... I believe several people have attempted to contact them regarding I-War 2, and never got a response. However, both I-War 1 and I-War 2 have appeared on Steam in the last few years, indicating that Atari is not totally ignoring the game. This makes creating another sequel a precarious task, and I hate it as much as you or anyone else does. IronDuke has been working on an I-War 2 "remake" using Unity that would require the original game to run, with the hope that Atari wouldn't copy-write strike it (it would be similar to a mod). He also hopes to add more stuff to the game when the re-make is completed. I don't know how all of this will affect you, but it is good to keep in mind. Second, I and others would agree that it would take away from the game if it was open-world/multiplayer only. Both of the original games are enjoyed because of their immersive campaigns. If I were making a new game from the series, I would create a new campaign where the character(s) find some alien (Nair'Nama) technology and use it to fight the Chaos Aliens. I think an open world (Torn Stars) mode would be good also. Regarding whether every ship would use the ComSec: I don't think that would be beneficial, as it would change the design of many existing ships. 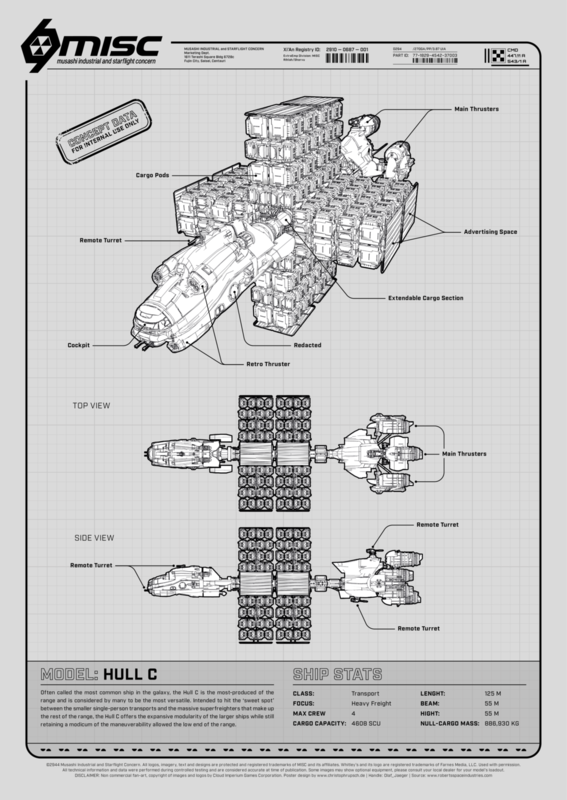 Also, in the game universe, there are many manufacturers who build ships their own way. So while a ComSec compatible ship would be a plus, it wouldn't be on every ship. Also, in the Original I-War cinematics, you see that the Puffin-class tug also has a detachable command section, but with a different design. In addition, it wouldn't be practical for fighters, transports, and capital ships to have command sections. So there would have to be different piloting/docking/ejecting systems for different ships. I do like the ideas of being able to walk around ships, as well as being able to land on planets and engage in first-person combat. I think these elements would add a lot of immersion to the game, as well as appeal to a larger number of players. I, personally, would like to see a Real-Time Strategy aspect of the game, where you can acquire a fleet and control them from the comfort of your Nova class cruiser.